Technically this isn't the end of the week, but...when do I ever do things at the right time? I do like to mix things around, especially with my blog posts - so I thought today would be nice to feature my photos of this week :) The biggest thing that happened this week for me would have to be Look magazine. I was featured on their Tried and Tested page in the beauty section!! I'm out in this weeks issue with Rita Ora on the cover :) Have you bought this weeks issue yet? The next photo is of Travis Garland, an incredibly talented and gorgeous artist - I definitely recommend listening to his albums! Next is a posey picture, I don't think I include shots of my make-up enough so let me know what you think of my brown and black eye make-up. I curled my hair with the Enrapture hair curlers that I featured a few weeks ago. 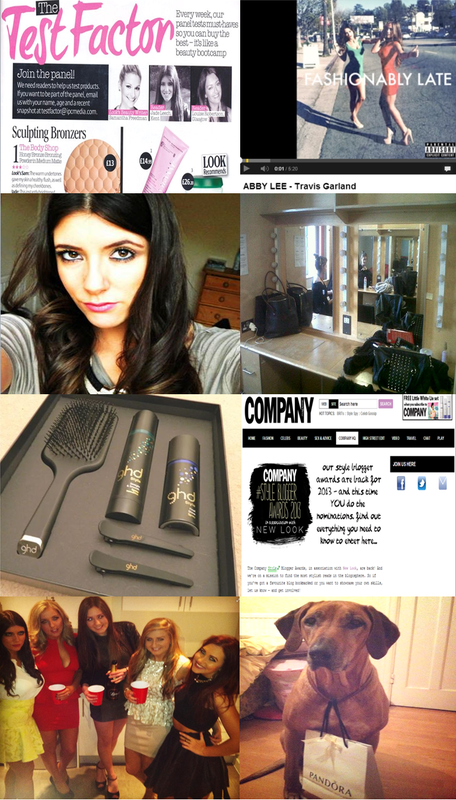 You have such a great blog, Jade :) I cant believe I only followed now! Thank you so much for YOUR comment! :) NOW following you, follow me?